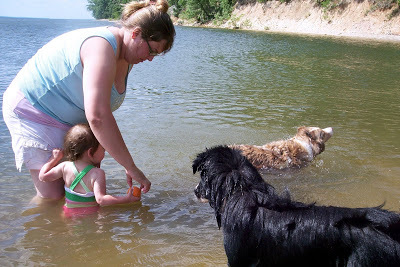 Cate and I went to play at Kentucky Lake this afternoon with Holly and her two dogs, Marley and Jada. I didn’t know how Cate would take to this water, but, hey, the more exposure the more comfortable she’ll be. She actually took to it well, and even went out with Holly to throw the ball to Marley. 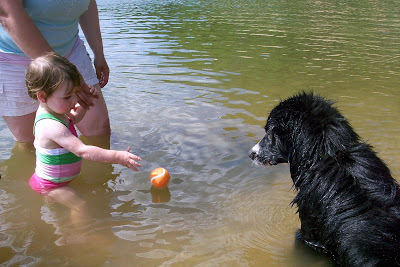 I think Marley definitely preferred Holly throwing the ball, but he humored Cate a few times. i’m totally impressed! i don’t think the boys would get in a lake.